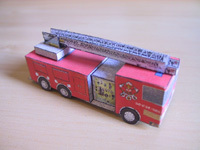 Fire truck created based on images from internet. The main file has only the truck (carro). 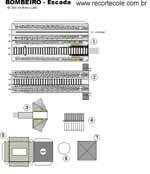 The other file has the ladder (escada). See the pictures carefully, before assembling. 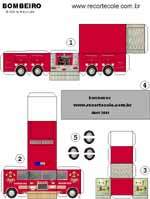 Click to download the file bombeiro.pdf (truck). Click to download the file escada.pdf (optional ladder).